Many times when we are asked to make a comparison of our Cabinet Cooler Systems to Freon-based Cooling Systems for electrical panels, the customer only wants to know what the energy consumption will be as this is their only focus. But what most Freon cooling system owners don’t seem to be concerned about, until it is too late, is the maintenance headache that Freon-based cooling systems present to their maintenance schedule, personnel and production schedule. Below is just one example of what a typical industrial Freon-based Cabinet Cooling system user must go through each month just to keep their panels cool enough to keep production going. A Freon cooling system user contacted me about a problem they have with their existing units. The setting is a machine shop located somewhere in Indonesia where the temperatures can exceed 40°C and Relative Humidity Levels around 85%. 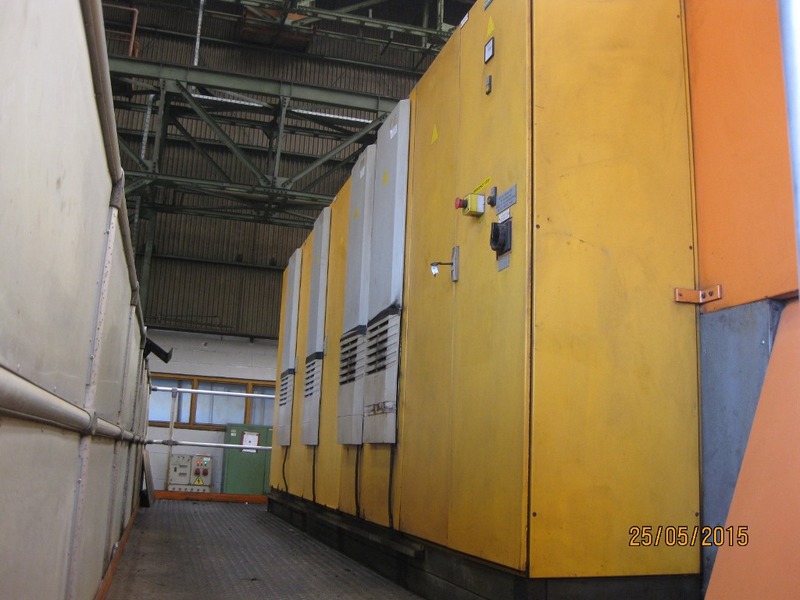 They have 4 units keeping a bank of panels cool for a transfer line which includes CNC machining centers. Photo showing coolers installed below. The problem they have is that the dirt, dust and coolant which are present, deposit on the internal workings of the Freon Coolers, reducing their cooling efficiency to a point where over-heat condition becomes a problem. This occurs so frequently that the customer is having to completely remove and clean all 4 Freon cooling units for a full 8 hour shift, 1 day every month. That’s almost 3 weeks of lost production per year! Obviously, that is a huge drag on the customer’s productivity. And so, a certain amount of buyer’s remorse pervades for those folks who own and have to maintain Freon system just to keep their production up and running. 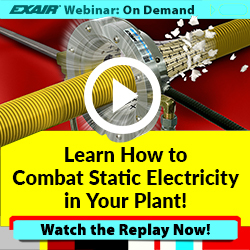 So, what does EXAIR offer? EXAIR’s Cabinet Cooler Systems offer the customer freedom from all of this downtime, maintenance and loss of productivity. How? We are selling reliability with our Cabinet Cooler systems. No maintenance is required on the cooler system or on the cabinet to which it is installed. Because there are no moving parts to wear out. A simple, periodic check on a compressed air filter element is all that is necessary. We are selling the fact that our Cabinet Cooler Systems maintain a positive pressure on the customer’s panel. This condition keeps all of this dirt, coolant spray and any other contamination out due to the positive pressure that is placed on the panel while the Cabinet Cooler System is operating. Air is always moving from inside the panel to the outside, so dust, dirt and other debris never has a chance to enter through vents or other openings. We are selling longevity with our Cabinet Cooler Systems. Because there are no moving parts, the life span of EXAIR Cabinet Cooler Systems is in the range of 20+ years. The Freon based systems operating under these mildly harsh conditions will last 5 years at most. 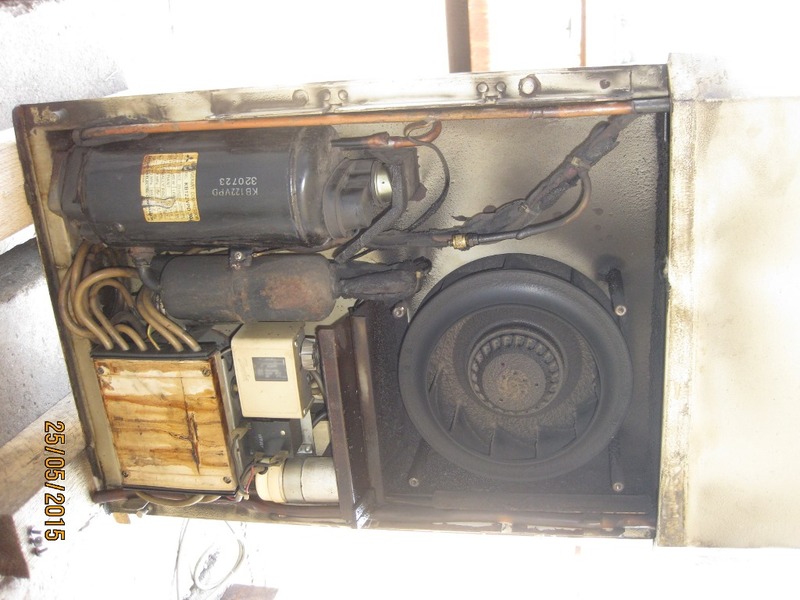 So in the life span of one EXAIR Cabinet Cooler, the Freon cooling system user will have been through at least 4 different units during that time. And still have all the monthly maintenance hassle come along with it. The general point I wish to make with this real-world example is to think about the total cost of ownership when considering your next panel cooling system purchase. It is not all about energy consumption. Energy use is important, but by no means should that be your only consideration when deciding on what type of panel cooling system is right for you as the person charged with keeping the overall production line up and running. I received a call about a blow-off operation. 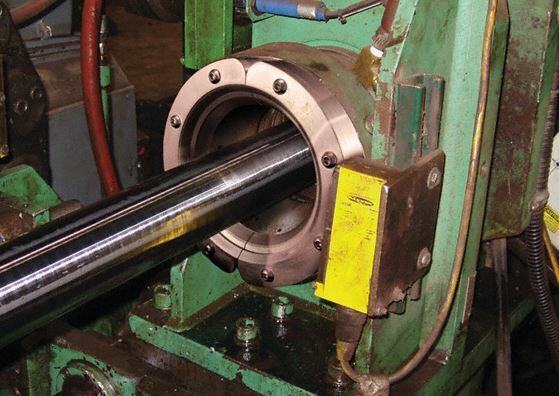 The customer had an automated machine that would thread, cut, and stack a 1” (25mm) diameter pipe. The operation was ran by a CNC lathe that would thread both ends and cut the pipe to length. 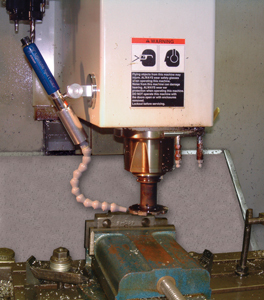 An automatic arm would feed the next piece of pipe into the lathe, and at the same time, push the finished piece of pipe through the chuck. Another robot arm would grab the finished pipe and stack it. The reason for his call was that he was losing coolant from his CNC machine. He used the coolant for the cutting and threading operations. When the CNC lathe would cut the pipe to length, the coolant would leak into the center of the pipe. As it was being brought out of the machine, coolant would leak onto the floor. It was a safety issue as well as the cost to replace the coolant. He wanted to keep as much coolant inside his machine during his operation. The customer believed that he would need two types of products to solve his problem. He was looking at a Standard Air Wipe to remove the coolant from the outside of the pipe, and a Super Air Nozzle to remove the coolant from inside the pipe. In getting more details about the application, we were able to determine that we could use just the Standard Air Wipe. 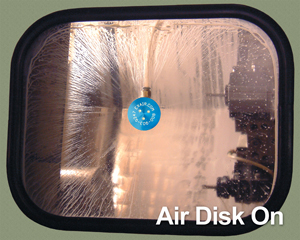 With the design of the EXAIR Air Wipes, a 30 degree angle of compressed air is directed toward the center in a 360 degree air pattern, just like a cone. This design allowed us to address both problems. The primary function of the Air Wipe would be to blow the coolant from the outside of the pipe. As it passed through the chuck to the robot arm for stacking, the Air Wipe would blow the coolant off the pipe and back into the machine. The second function of the Air Wipe was to keep the coolant from leaking through the center of the pipe. With the finished pipe being stacked, the conical air flow would blow into the open cavity of the chuck and right into the center of the pipe. As the new pipe was being cut, the Air Wipe would increase the pressure inside the pipe, keeping the coolant from seeping into the center. I recommended model 2482, 2” (51mm) Standard Air Wipe Kit. 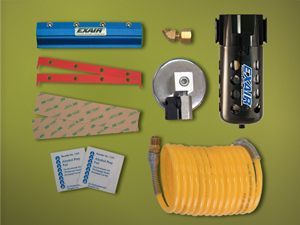 The kit included the Air Wipe, shim set, filter separator, and pressure regulator. This would insure long lasting operations with the ability to control the amount of compressed air being used. Here at EXAIR, we enjoy solving problems. I was able to correct his problem with one product item, instead of two or more. It is not just about the amount of sales, but about helping our customer in the most effective way. If you have any questions or would like to discuss any of your applications, you can contact the Application Engineers at EXAIR. Seeing as how I have a background in CNC Machining and have been to the upcoming EASTEC show several times I thought it would be a good idea to try to help some of the machinery distributors and manufacturers showcase their product to the fullest. Now I know that some companies will only take a skim cut on their demo parts just to make it through the show with a minimal chance for hiccups. However there are those that want to truly show the machine in action, taking full depth of cuts to showcase how rigid their castings are or how much metal a customer can “hog” at once to cut their cycles times down. 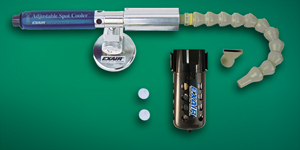 No matter the case EXAIR has a product that your demonstration may benefit from. 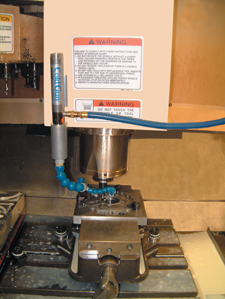 It has been my experience that if you are running an average CNC program that is cutting a real part you will most of the time be running some form of cutting fluid / coolant. Once the machine is set up and into the cut, the coolant will hit the spindle, the tool, or even the part identities and spray the operator window with gallons of coolant. This makes watching the machine actually cut quite difficult, just like driving through a monsoon without windshield wipers and mud on your windshield. This is where the Air Stik or Air Disk Window Blowoff Systems will make your machine stand out from the rest. 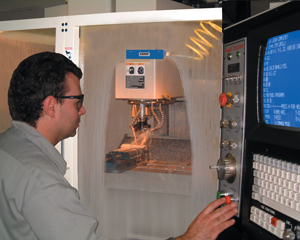 Instead of your potential customers looking at a window with a blanket of coolant on it not able to tell whether your machine is truly cutting a part or not, they will get to see through a clean window that is going to allow them to view the part being cut that you have spent hours programming to perfection. The proof is in each of the pictures below. These systems can be used on open top machines, closed top machines, lathes, or virtually any machine that has an operator window and compressed air. The Air Stik Open Top Machine Kit is shown below. Now for those that don’t want to deal with the coolant deliveries and coolant cleanup at the end of the show but are having some issues with your demo part program not cutting too good dry then we also have an option for you. 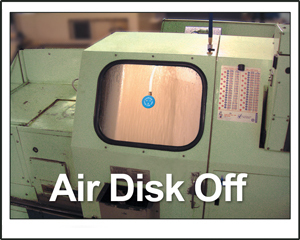 We offer our Cold Gun Aircoolant Systems along with our Adjustable Spot Coolers to be used on dry cutting operations. The Cold Gun and the Adjustable Spot Cooler have been used in a variety of machining applications and have been proven to significantly increase tool life, along with considerably improve surface finish. These are ideal for an application where you are repeatedly skimming a demo part or even cutting certain materials. 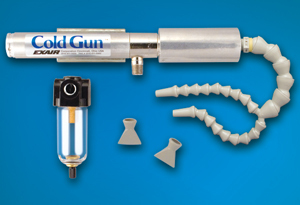 For some of our existing customers they will only use a Cold Gun for the entire machining of their production parts. A few pictures of both in action are below. 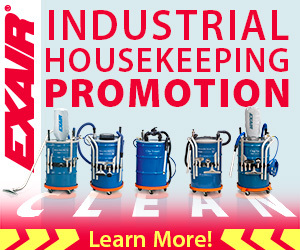 The best part of all the products mentioned is that they all operate off of compressed air which most machines require. They have no internal moving parts to wear out like bearings or motors. Lastly, they are ALL stock items that are manufactured here in Cincinnati, Ohio and can ship same day as long as the order is received by 3 P.M. Eastern Time. So with the show coming up if you can’t see the machine cutting or are having some issues with your tools galling up give us a call, email, tweet, or Facebook message. We can even drop ship straight to you while you are at EASTEC. If you have any questions or need for these please don’t hesitate to contact me.